Canada Goose, a Canadian based maker of high end winter parkas, is looking to float 10% of its shares on both US and Canadian markets and is expected to raise approximately $200m-$300m, valuing the company at approximately $2b. Comparisons are being made to Aritzia which was ‘…oversubscribed by a factor of 10” suggesting that “…high quality retailers are being favoured by market participants.”  Furthermore, we noted in a prior post (see here) that the search trend for Aritzia was moving in a positive direction further adding support that the IPO would be well received. The question is whether we’ll see the same for Canada Goose? By understanding Canada Goose’s online brand recognition, we can get some clues as to where in the business lifecycle the company is in. For investors that are unable to subscribe to the pre-IPO price its crucial to know where in the business lifecycle that the company is in. Is it in the growth phase or has the company reached a market saturation? 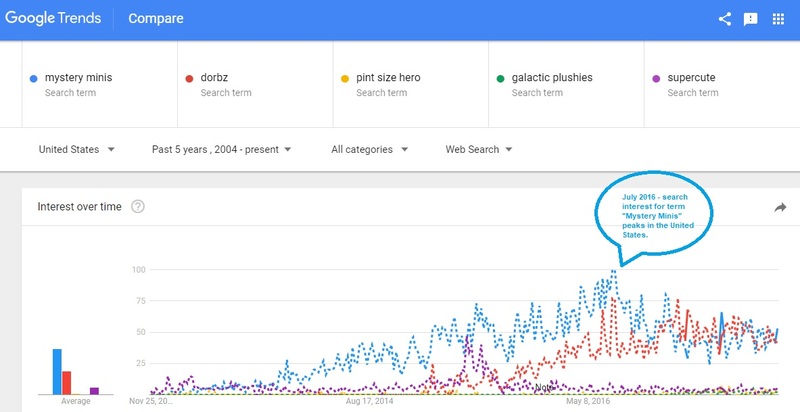 An appreciating search trend would suggest growing brand recognition suggestive of the growth stage while a decreasing search trend would suggest a waning interest in the brand suggestive of market saturation in the maturity stage of the business cycle. As a prospective investor, I’d feel much more comfortable knowing that the company still has significant growth prospects compared to a company whose product is over saturated with little growth potential for investors. The search trends in Canada and the U.S appear to tell two opposing stories. In the U.S., all keywords observed a largely positive trend over the past 4 years with the largest year-over-year increases noted during 2013 and 2016. On the other hand, searches for the same keywords isolated in Canada have been trending downward over the last 2-3 years. Interpreting this data can be difficult and by no means representative of the company’s financial circumstances. However, we’re tempted to say that its possible Canada Goose has reached a level of saturation in Canada. Note that these are luxury goods and that very few consumers outside of their first purchase will have the dispensable income to go out and purchase another parka the following season. Judging by the decreasing search trend coupled with the number of people sporting Canada Goose parkas on the streets of major cities in Canada, we feel that the Canadian market may not be that far off from market maturity/saturation if it hasn’t reached that level already. So does the negative search trend in Canada mean that Canada Goose as an investment is a bad deal? Not necessarily so. There is evidence to suggest that the market dynamics in Canada will have less of an impact on the company’s financial fortunes as more emphasis is placed on the US markets. A Fortune article confirms this line of thought by outlining that the U.S. market for Canada Goose parkas will eclipse the Canadian market sometime in 2015. Coupled with the very positive search trend, the company may be in for much more growth to come. The company has kept its cards close to the chest as there is very little detail of the company’s finances at the moment. As always, we suggest that prospective investors use search trend interest and brand awareness in conjunction with sound fundamental/technical due diligence and until that information becomes available, we suggest to proceed cautiously.